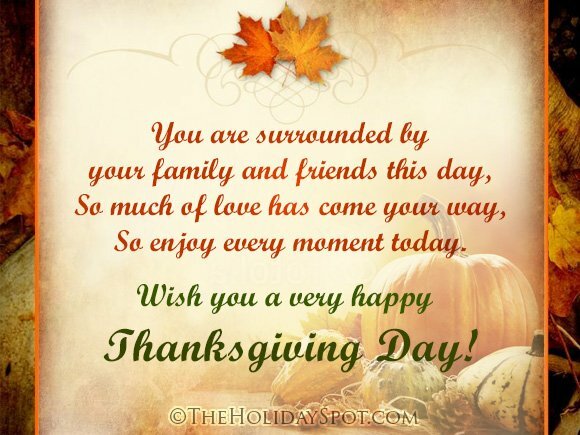 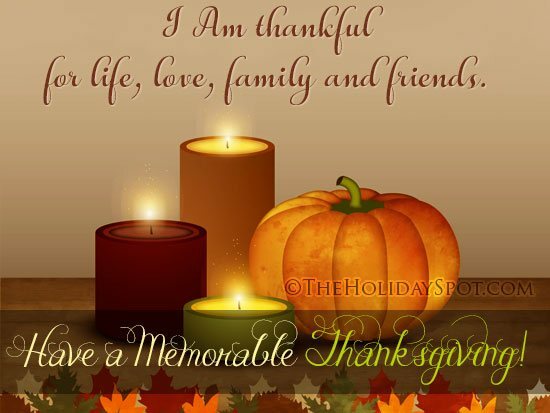 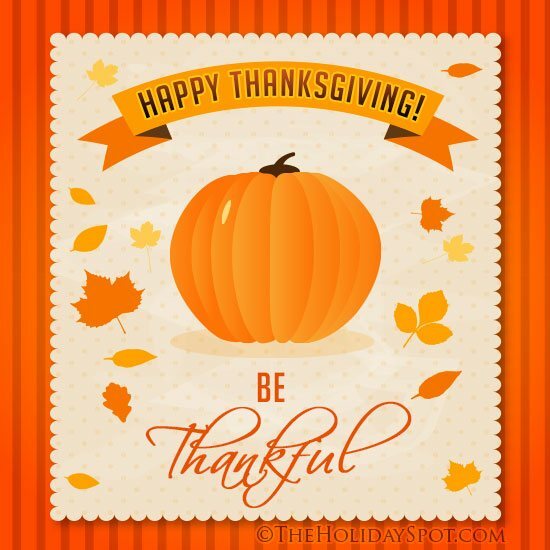 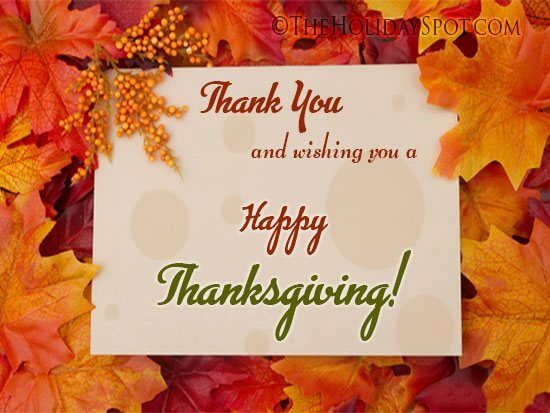 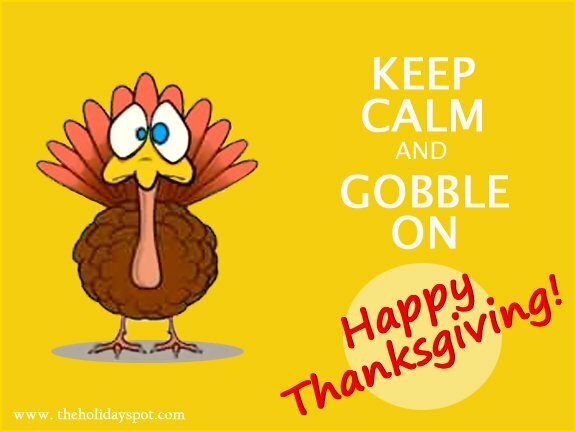 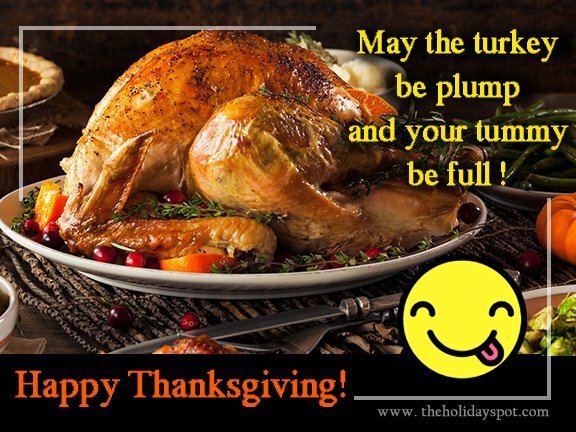 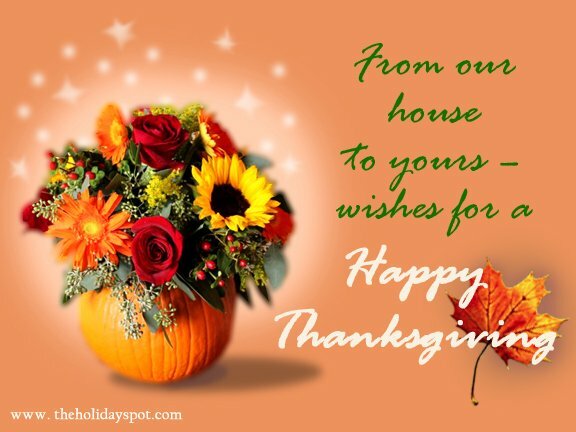 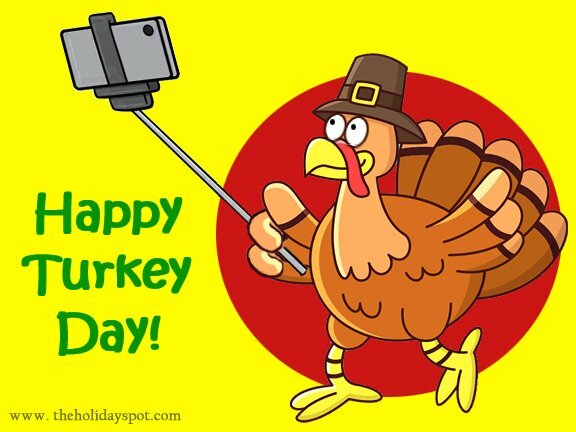 Each year Americans in the United States celebrate the Thanksgiving holiday on the fourth Thursday of November. 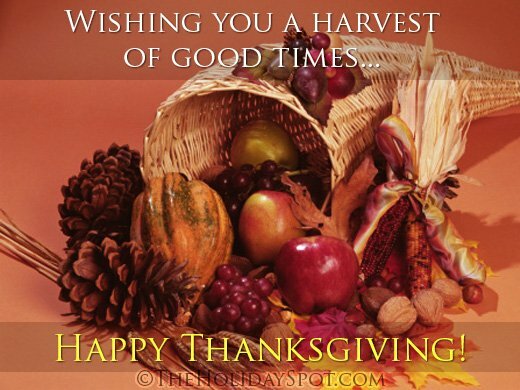 It originated as a harvest festival. 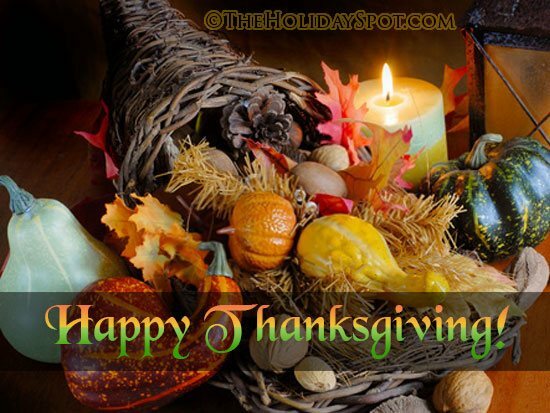 Click here to know more about Thanksgiving history. 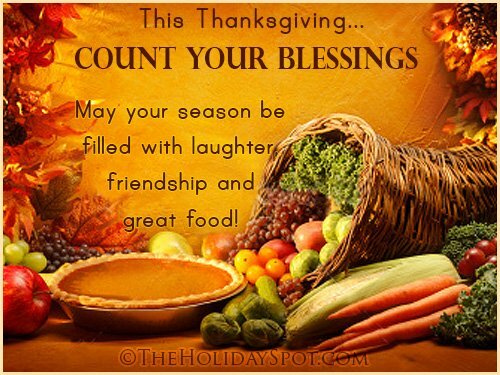 This year Thanksgiving falls on 22nd November. 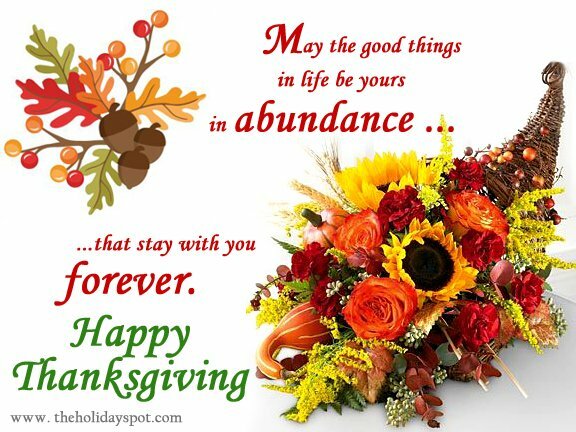 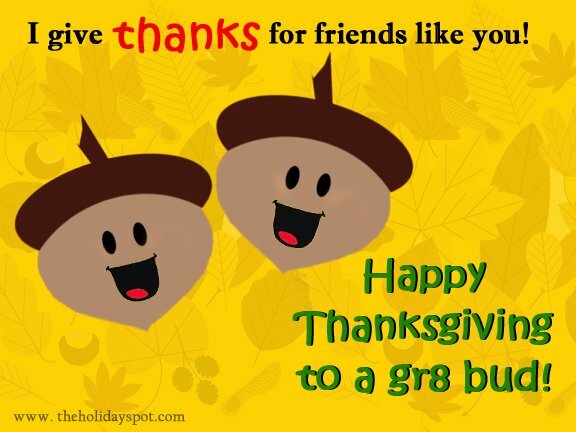 Give thanks to your loved ones with our special Thanksgiving wishes and get friends excited about this national chow-down festival with our fun greetings. 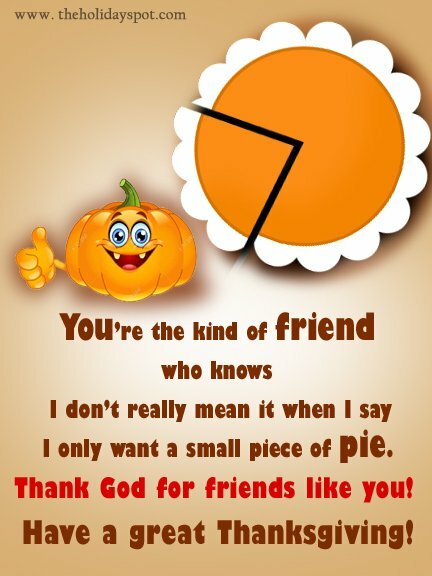 Just click, save and share on WhatsApp, FB, Messenger and more such social media. 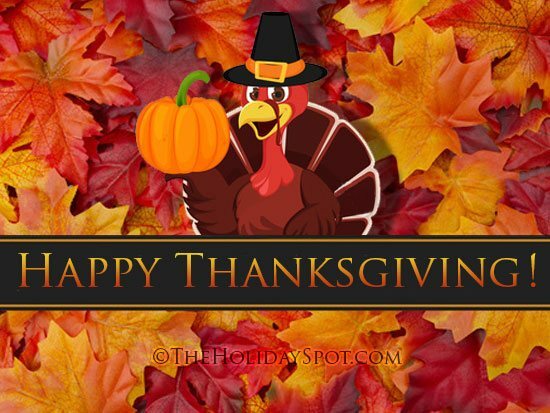 And from the holidayspot team, BIG THANKS to YOU for all the support! 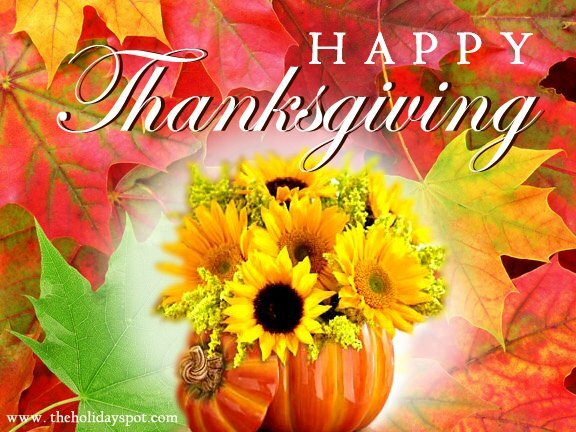 We wish you a great Thanksgiving!